Rachel Tarko Hudson is a partner in the Intellectual Property Practice Group in the firm's San Francisco office. She is Lead Associate of the Privacy and Cybersecurity Team and the Technology Transactions Team. Rachel advises clients in conducting advertising campaigns, contests and sweepstakes, and cause marketing campaigns. She also counsels clients on compliance with e-mail, telephone, and SMS marketing regulations. Rachel drafts and negotiates agreements for software, SaaS, technology services, logistics, marketing, outsourcing, intellectual property licensing, sourcing and distribution agreements, and other commercial and transactional matters. 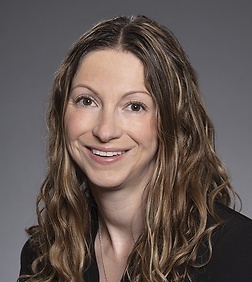 Rachel counsels clients on compliance with domestic and international privacy laws, including in Canada and the EU. She helps clients with drafting privacy policies and online terms of service for websites and mobile applications. She counsels clients experiencing data security breaches on response, notification, and mitigation. Negotiated co-branded credit card agreements with the issuing banks and credit card networks for multiple international retail brands. Advised on an international cause marketing campaign for a global cosmetics company, including negotiating agreements with charities and registering the campaign with regulators in the United States and abroad. Negotiated and advised on the sale of a major business unit including resolving complex trademark ownership and usage issues. Negotiated an international shipping logistics deal for a global clothing retailer. Drafted and negotiated a material and ingredient purchase agreement for an international candy brand. Negotiated a gift card processing agreement for a traditional and e-commerce retail brand. Negotiated an agreement to license and provide customer development services for data center technology developer.